This 4 bedroom 3.5 bath home has a lot to offer and plenty of room for your family to grow. Very spacious kitchen with ample counter and cabinet space. Right off your kitchen you have a good sized den with a brick fireplace. In the front of the home you&apos;ll notice your formal living room and dining room. Down the hallway you will find 3 bedrooms to include the master suite. Also, down the hallway is a full bath with plenty of closet space. In the basement there is another den area perfect for hosting parties and get togethers. You have the 4th bedroom downstairs, as well, with another full bath in the basement. There is also a second kitchen in the basement. 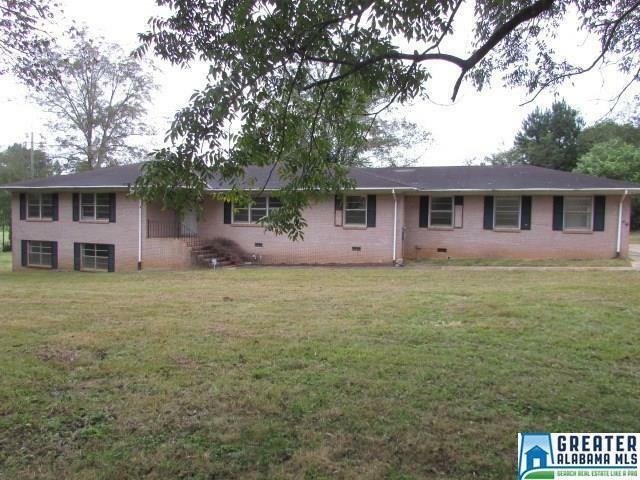 Features a level lot and within walking distance to Southern Union Community College. Driving Directions: From Lineville. Take Hwy 49 South. Turns Into Hwy 77. Turn Left On Roberts Street In Wadley. Go Around Curve. Home Will Be On The Left.